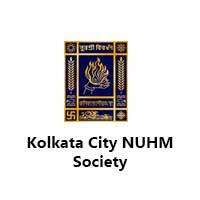 Kolkata City NUHM Society Jobs 2017 Walk-in – 139 Staff Nurse Posts: It is hereby informed for recruitment information that Kolkata City NUHM Society has disclosed a recruitment notice for recruit 139 vacancy of Staff Nurse posts. Those candidates age should be below 65 years can appear walk-in-interview on 28.11.2017 at 10.30 a.m. to 12.00 noon. Everyone knows that Kolkata City NUHM Society Jobs 2017 Walk-in – 139 Staff Nurse Posts is a good opportunity to make his career on Kolkata City NUHM Society. Candidates who are interested to know more about this recruitment & want to apply for this posts read below for detailed information. Walk-in-Interview Date & Time: 28.11.2017 at 10.30 a.m. to 12.00 noon. Education Qualification: Candidates should have GNM training course from an institute recognized by Indian Nursing Council/ West Bengal Nursing Council. Candidates must completed B.Sc Nursing course and must be registered under West Bengal Nursing Council and must have proficiency in Bengali. Age Limit: Candidates age must be not more than 64 years. Upper age limit: Age Relaxation of backward class category like ST, SC, OBC as per instructions of Govt. Rules. [5 years in case of candidates belonging to SC & ST Category & 3 years in case of OBC Category]. Application & Selection Methode of NUHM Society Jobs 139 Staff Nurse posts. Application Methode: Eligible candidates who want to join Kolkata City NUHM Society, may appear for walk-in-interview on 28.11.2018 to the address given below. Selection Methode: According to the official notification full selection will be made on the basis of Interview so without wasting your time candidates/ Applicants should appear for this tests. walk-in Interview Date & Time: 28.11.2017 at 10.30 a.m. to 12.00 noon.